Bring whimsy into your office with these colorful pushpins made from genuine LEGO® bricks! The 2×2 bricks make it easy to push in and pull out tacks. -Give them to you kids to help them stay organized. -Know someone who recently got hired? What better way to say “Congratulations!” than with the gift of LEGO® tacks! -Great Mother’s Day or Father’s day present from the kids! Who *wouldn’t* love them? Celebrate your “inner geek” today! 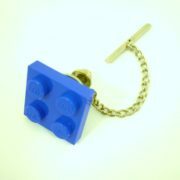 Order includes 10 LEGO® Brick Thumb Tacks! Want more than 10? Message me please! I can also do custom colors! This is not a LEGO® Product. These are re-used LEGO elements that have been repackaged or altered from their original form. 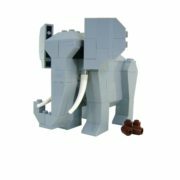 LEGO is a trademark of the LEGO Group, which does not sponsor, authorize or endorse this product. 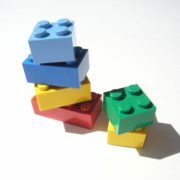 The LEGO Group is not liable for any loss, injury or damage arising from the use or misuse of this product. Such a great gift idea and the seller was very quick to put a large order together and have it shipped to Canada in a timely fashion. AbbieDabbles.com © 2015. All Rights Reserved.